Esplicito WBR #270 - RCX In Da Hizzy! What an EPIC show tonight, friends! Tonight I was joined by RCX a spectacular DFW rapper who just dropped his new album "Lonestar Cowboy"! We have a lot of fun talking about music, where RCX comes from, we have a good time! We have a couple funny jokes, We talk about the Olympics ending, Rain, MMA Fight night at Winstar, My Boss called me Chunky, Banned from Facebook, PUBG and other video games, and THE DICE OF DESTINY IS BACK!!! We have a top 10 ways to know if you're a ... Maggiori informazioni Xellinial (not a Gen x-er, not a millineal)! 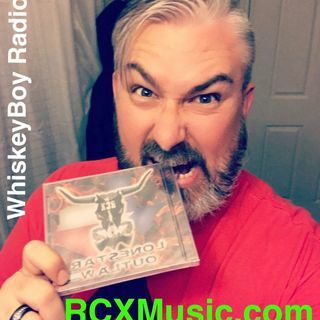 We have 3 GREAT tracks from RCX, and a GREAT craigslist posting!! We have a lot of fun on this show... please listen and have a good time with us! You can also find WBR on iHeart Radio at iheart.com and in your app. Dice of Destiny is Back! I am a white rapper in a metal band called "Without Sacrifice" and I just dropped my first solo album, "Lone Star Outlaw" and am working on promoting it. My music mixes rap, rock, metal, country and electronic and lyrically, is as comical as it is serious. My music and my shows are all about having a good time, and have performed in Illinois, Wisconsin, Kansas and here in Texas. I've also been featured on terrestrial radio in Kansas and Chicago, as well as internet radio in Texas. Sci-fi fans, check out A.C. Hachem's debut science fiction novel, Book One of The Legaia Series, "Dawn of Legaia". Available on amazon.com in paperback and eBook. Brief History Podcast Follow them on Twitter @bhistorypodcast or www.facebook.com/BriefHistoryPodcast. Check out www.ChinSaddle.com for quality homemade beard oils. That's ChinSaddle.com, it's not just a beard, it's a saddle.